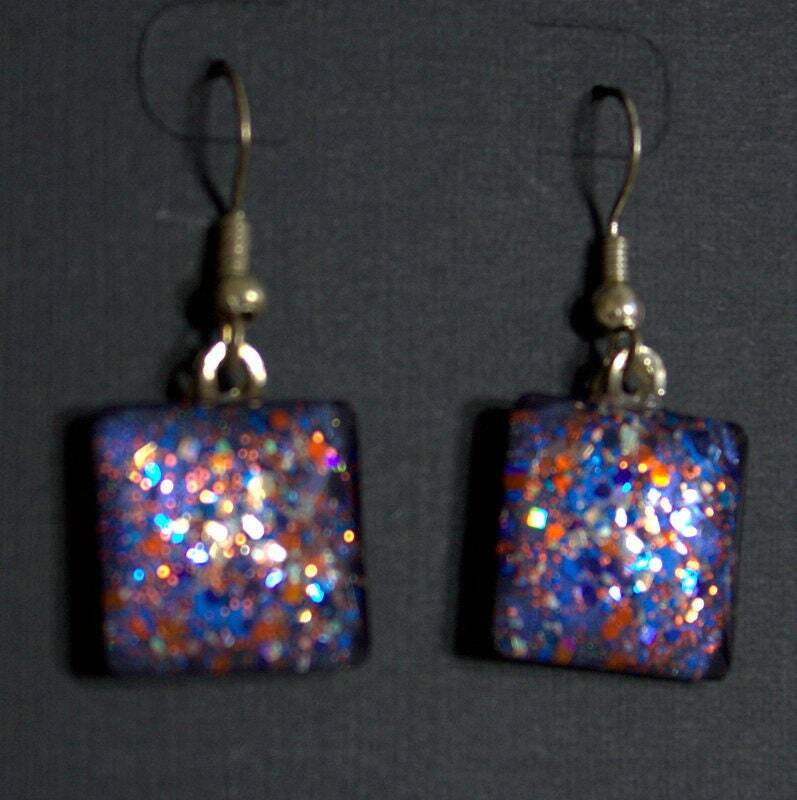 Royal blue and orange accented with silver, glitter square glass cab earrings are hand-painted with glitter nail polish - Offensive Line from the Team Spirit line. 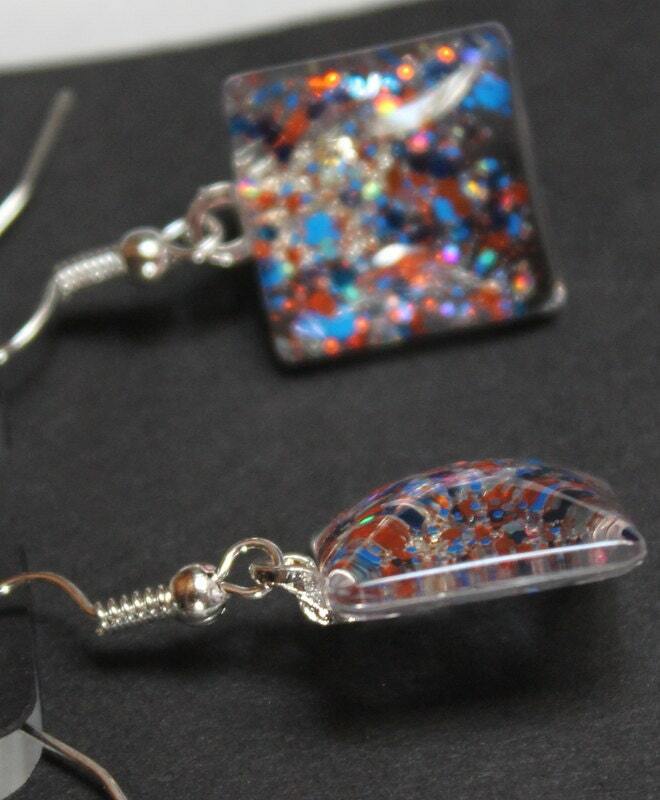 So, whether you are a Florida Gators, Denver Broncos or Chicago Bears fan sporting your team colors or just love the color contrast of royal blue and orange, this pair of sparkly earrings will definitely bring you compliments. 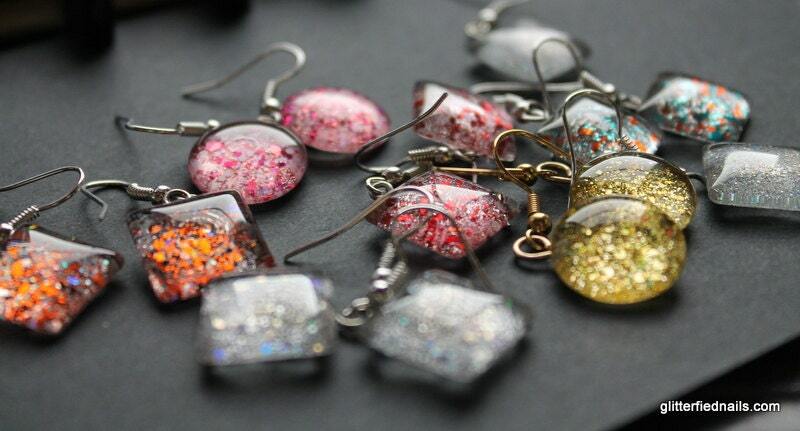 Earring hooks and bails are silver plated. 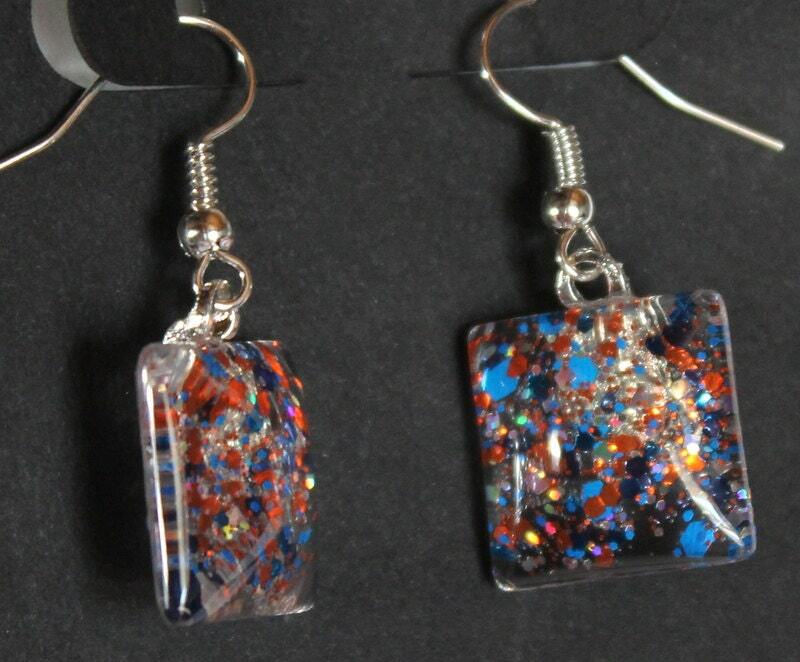 Glass tiles are 16 mm or just a little bigger than 1/2 inch. Small and very lightweight but big on style. Squares are shown but can also be made in round. 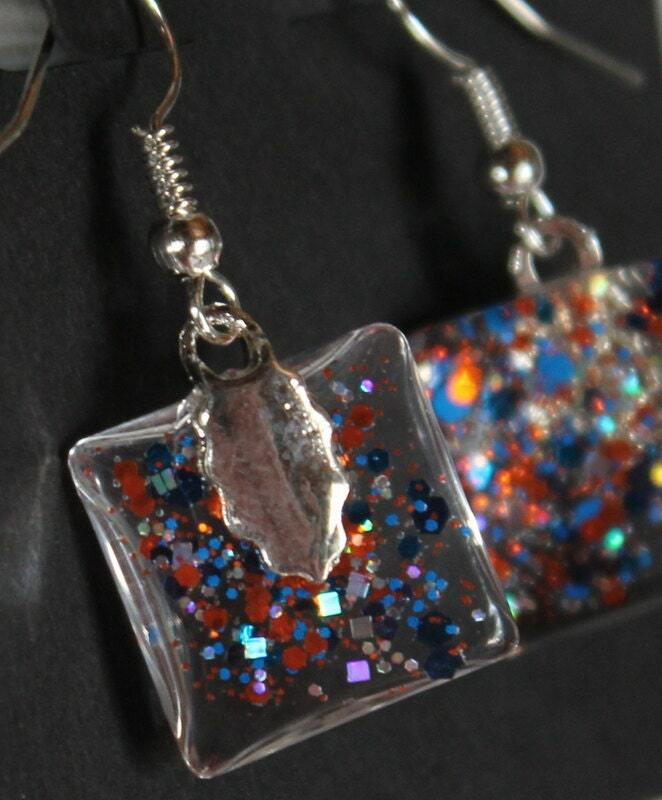 Matching necklaces are also available. 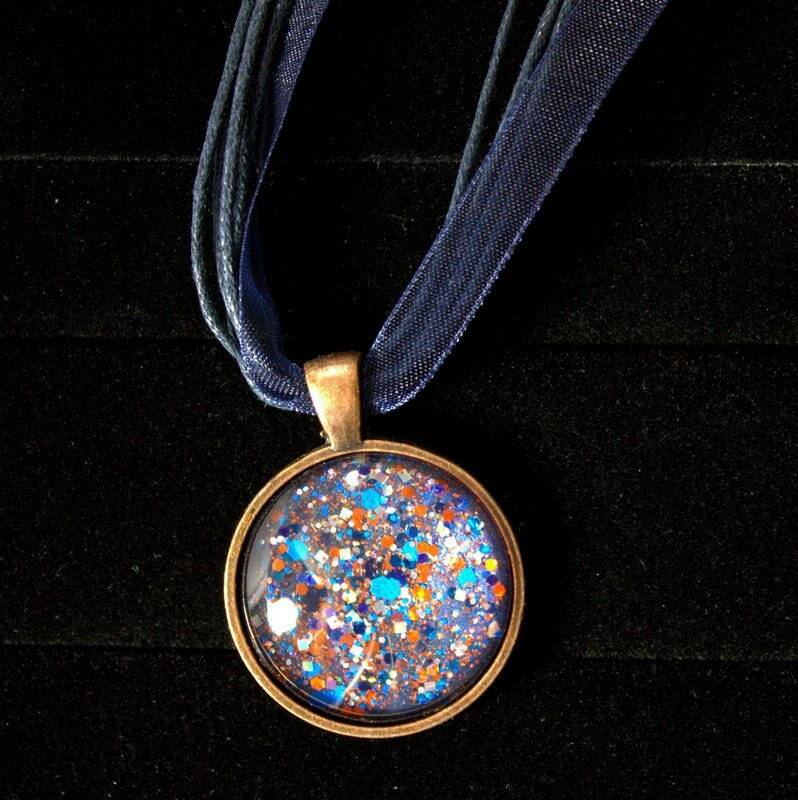 Also available in rounds and as rings, pendants and magnets.